Oppo has launched company’s new N3 flagship alongside the current king of thin handsets, Oppo R5, about a month ago. Oppo N3 is definitely a flagship material handset and it again features that rotating camera on the top of the device, though this time it’s auto-rotating electric camera with a 16-megapixel sensor on the inside. Oppo really did a great job building this and despite the fact this handset looks a bit odd and it significantly bigger because of the camera, it is still a great handset. What many people didn’t like about this handset however is its price, 3999 Yuan ($654) is a really steep price to ask for such a handset, especially considering it’s China we’re talking about, you can get a much cheaper flagship device over there carrying the similar or even better specs. Either way, Oppo N3 is a solid offering and it seems like it’s selling better than I though it would. Oppo N3 will officially go on sale tomorrow, but pre-orders were opened since November 11. If you take a look at the Jingdong Mall’s listing of this handset, you’ll notice that over 2 million people already ordered the Oppo N3. We’re talking about pre-orders via Jingdong Mall only, consumers were also able to order this handset directly from Oppo, of course. As I said, I didn’t expect this many pre-orders for this handset, but Oppo is a big name in China and no matter what way you look at it, this is a very powerful device. Oppo N3 features a 5.5-inch 1080p (1920 x 1080) AMOLED display along with 3GB of RAM for all your multitasking needs and 32GB of expandable internal storage. This handset is powered by Qualcomm’s Snapdragon 801 quad-core processor clocked at 2.3GHz along with an Adreno 330 GPU for graphics rendering. 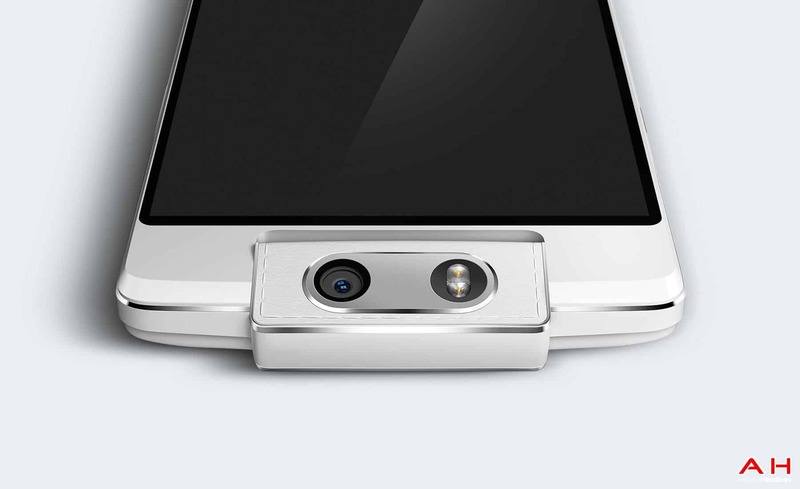 Oppo N3 ships with the aforementioned motorized auto-rotated camera which sports a 16-megapixel sensor on the inside. Oppo N3 comes with a 3000mAh battery which charges from 0 to 75% in 30 minutes thanks to VOOC rapid charging technology. Android 4.4 comes pre-installed on the device with Oppo’s ColorOS 2.0 on top of it. This handset also features 4G LTE connectivity of course and it measures 161.2 x 77 x 9.9mm while it weighs 192 grams. The post Oppo N3 Pre-Orders Exceed 2 Million, Device to Go On Sale Tomorrow appeared first on AndroidHeadlines.com |.